Michelle and I hopped the 6:05 Metra train from Kenosha pointed at Ogilvie Transportation Center in downtown Chicago. She was headed to a conference and I was planned on wandering the city on a beautiful, warm spring day … one of the first of the year. What followed was an adventure in miniature. I traversed Chicago on foot and via bus, train and subway … all between the hours of 8 a.m. and 3:30 p.m.
After grabbing a cup of coffee in the hotel lobby, I arrived back on the street and a great sense of excitement that I had not anticipated came over me–today was mine to do as I wished. There were a lot of places I wanted to go in Chicago, but I had no idea how I would get there. I walked to nearby Millennium Park and briefly considered renting a bike, before opting to take the bus seven miles to the grounds of the Museum of Science and Industry. 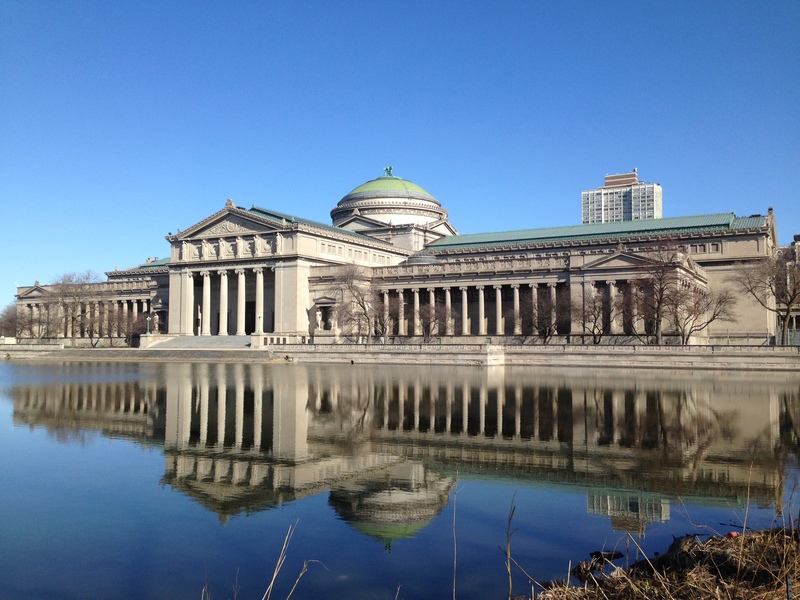 Though it has been years since I’d been there, the beautiful, neoclassical museum wasn’t what drew me to Chicago’s South Side, it was the park beyond it. 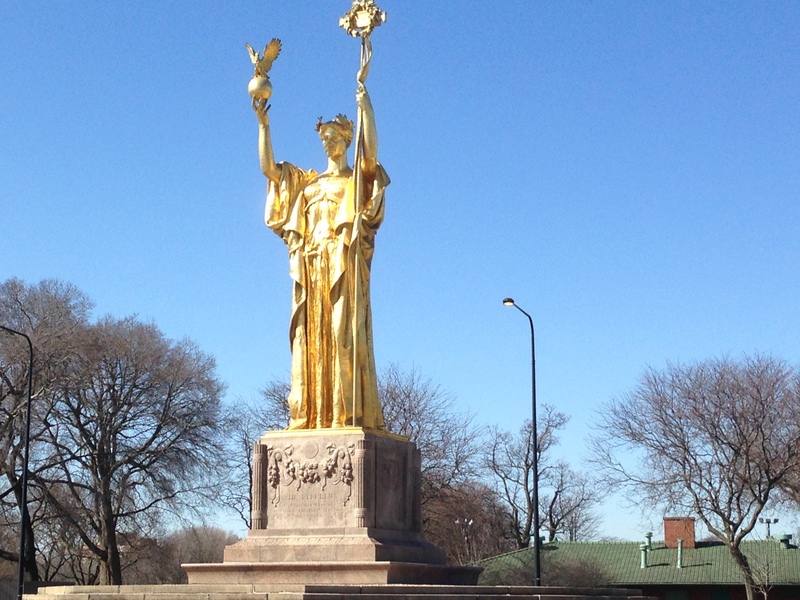 In 1893, the World’s Columbia Exposition, more famously known as the Chicago World’s Fair, was hosted on the shores of Lake Michigan. The Fair has transfixed me since I read about it in Erik Larson’s The Devil in the White City: Murder, Magic and Madness at the Fair that Changed America, perhaps my favorite non-fiction book. The Museum of Science and Industry is the only building remaining of what was dubbed “The White City.” The museum was the northern most point of the Fair, but the grounds south of it have been converted into Jackson Park, and I was determined search for any remnants of the great Fair. 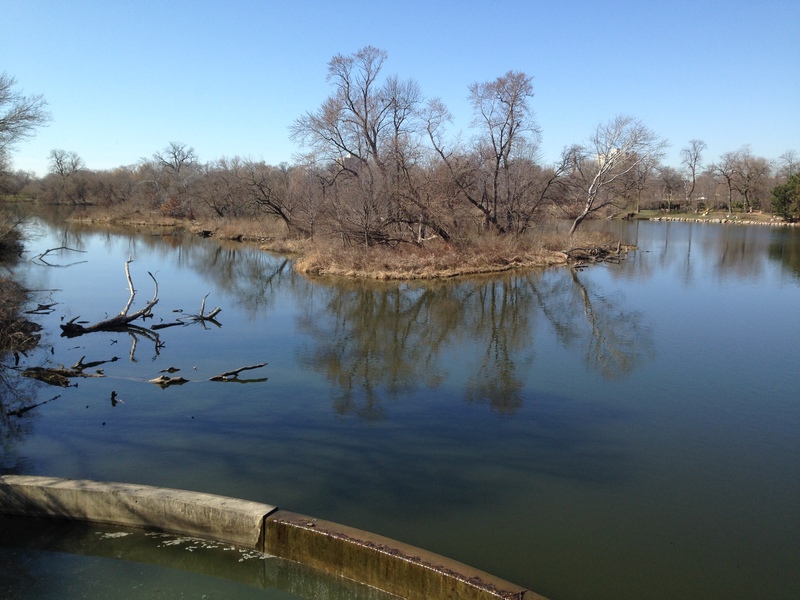 After strolling through a wooden trail alongside a large lagoon, I spotted a gleaming golden statue in the distance. Once I came up to it, I learned that it was created to celebrate the 25th anniversary of the Fair. 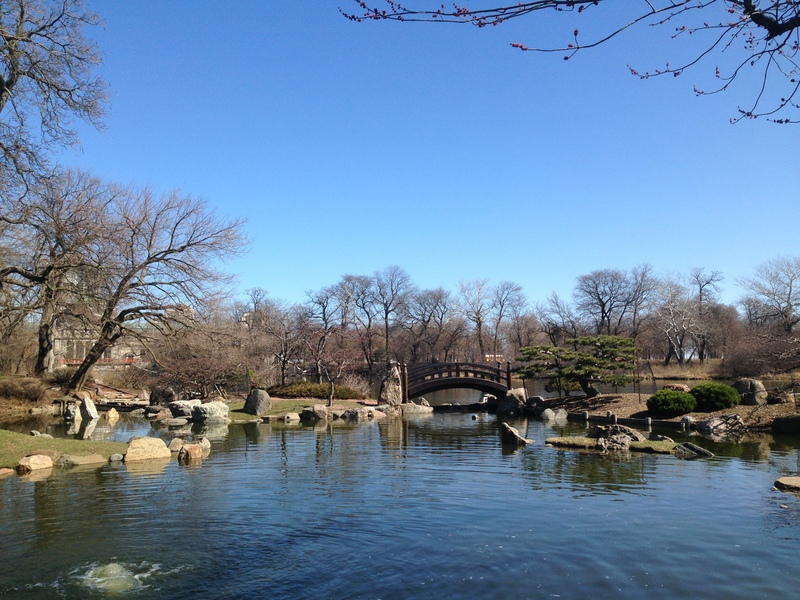 Walking back north, on what was known as the Wooded Island during the Fair, I came upon Osaka Garden, which was also part of the Fair, and extremely tranquil on this beautiful day. 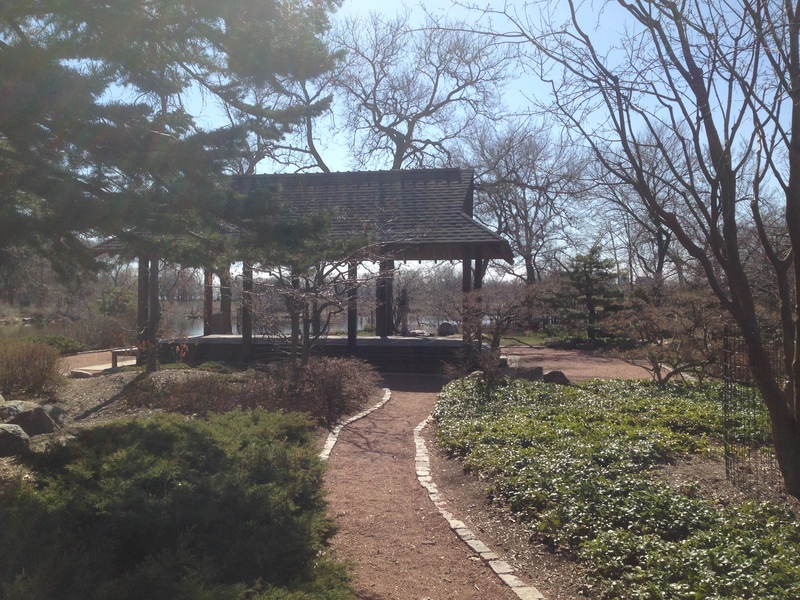 Featuring a small waterfall, Japanese features and a half-circle bridge, the Wooded Island and this space was designed by Frederick Law Olmstead, America’s most famous landscape architect, to provide respite from the bustling fairgrounds. I used Google Maps to guide me to the locations I wanted to go, and it took me a minute to realize that I was supposed to board the Metra towards my next destination. After arriving downtown, I experienced more confusion, looking for a train and then realizing Google Maps was putting me on a subway. On the subway, I watched a nervous future DePaul student tell his mother they’d have to wait another stop, right before I exited. 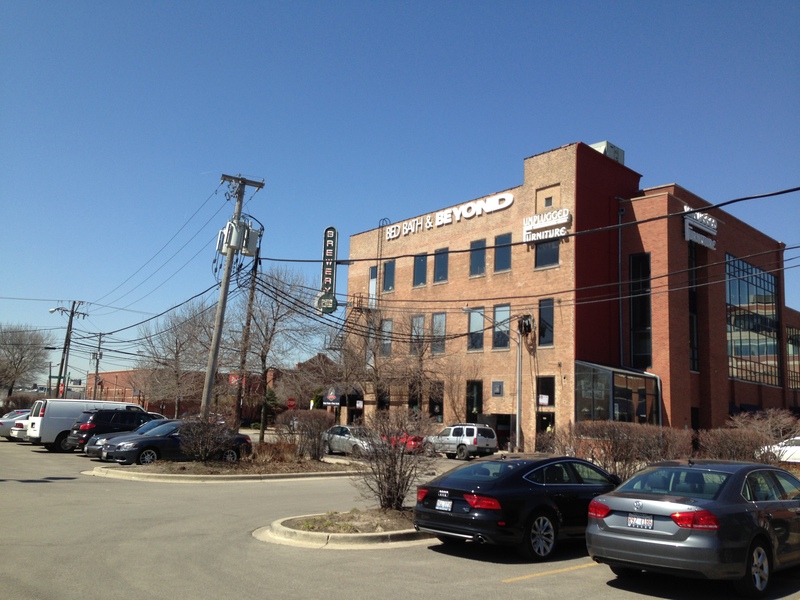 I walked for about a mile until I came upon a building that, until further inspection, appeared to be a Bed, Bath and Beyond. 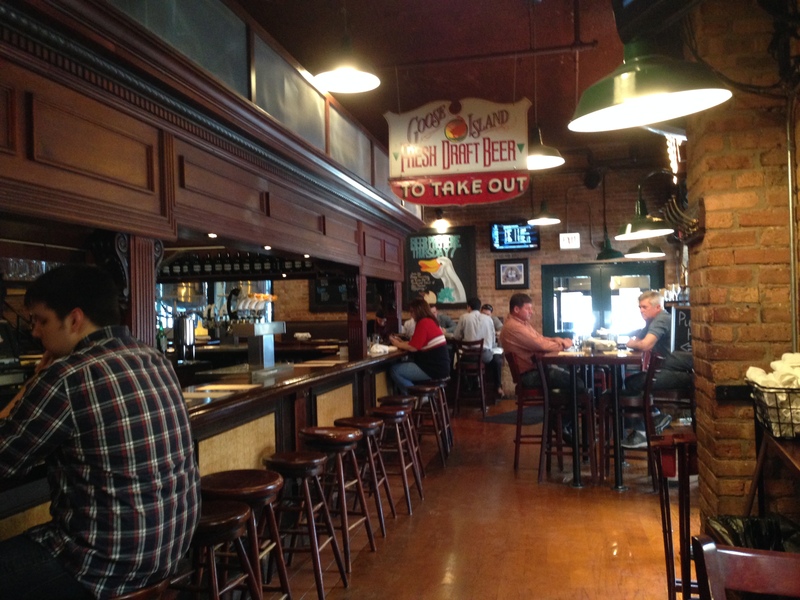 It was actually the original Goose Island Brewery and Brewpub. 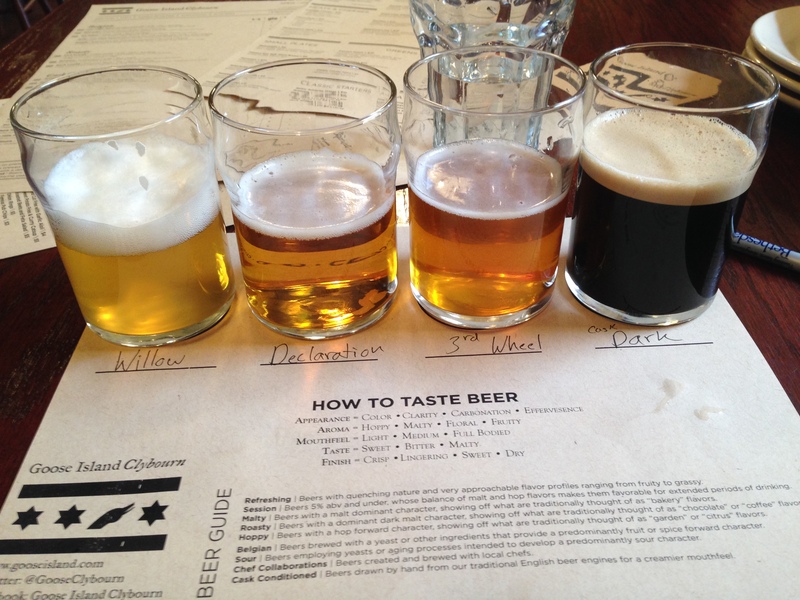 Goose Island is perhaps Chicago’s most well known brewery, and I was excited to try a flight. The brewpub was all wood. My waitress told me that they still brew their specialty beers there, but a lot of their more popular offerings were brewed elsewhere. Their most popular beers, she explained, were brewed by Anheuser-Busch in a relationship that seemed similar to the one shared by Miller and Leine’s. I tried a flight and my waitress told me that I had picked some of the best beers, all were brewed there. They were very good, but I was most excited for the Wild Sour Ale, named Juliet, that was just excellent! I was hungry and eager to head for lunch. 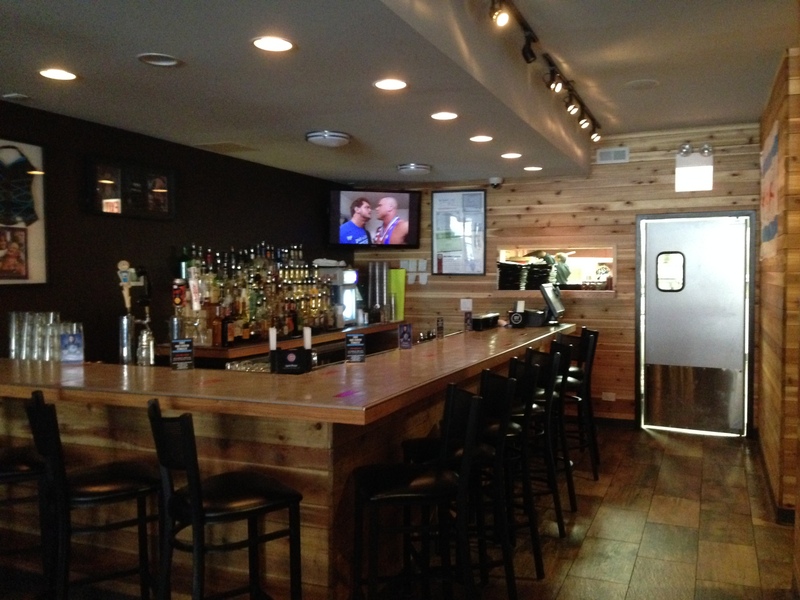 I walked another mile north until I arrived at The Squared Circle, which, in addition to being the name of my favorite internet message board, is a restaurant owned by former WWE Diva Victoria, real name: Lisa Marie Varon. Inside, I was chagrined to learn Lisa Marie wasn’t there. 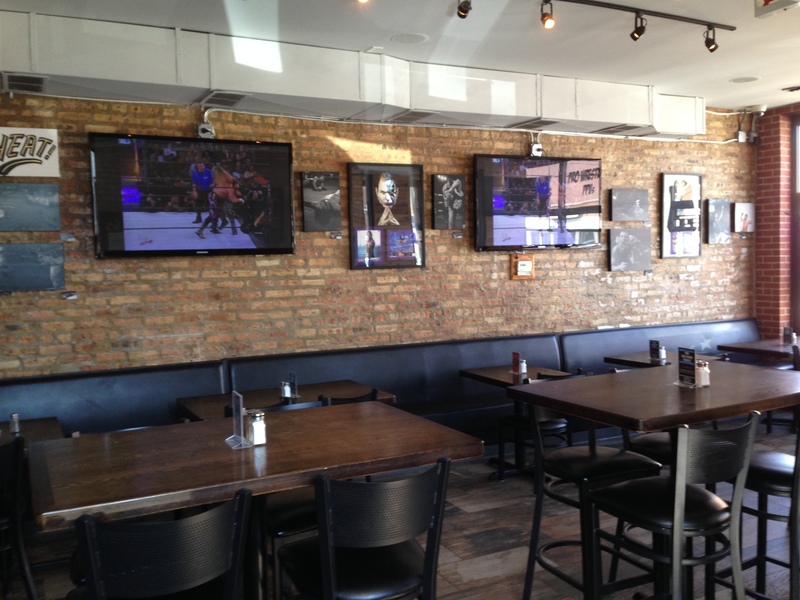 The feel was upscale and contemporary, only the wrestling-themed wall art and televisions showing the WWE Network, drilled home the theme. While I waited for my burger, a match featuring the owner came on the television … a moment that would have only been more surreal if she would have been there. 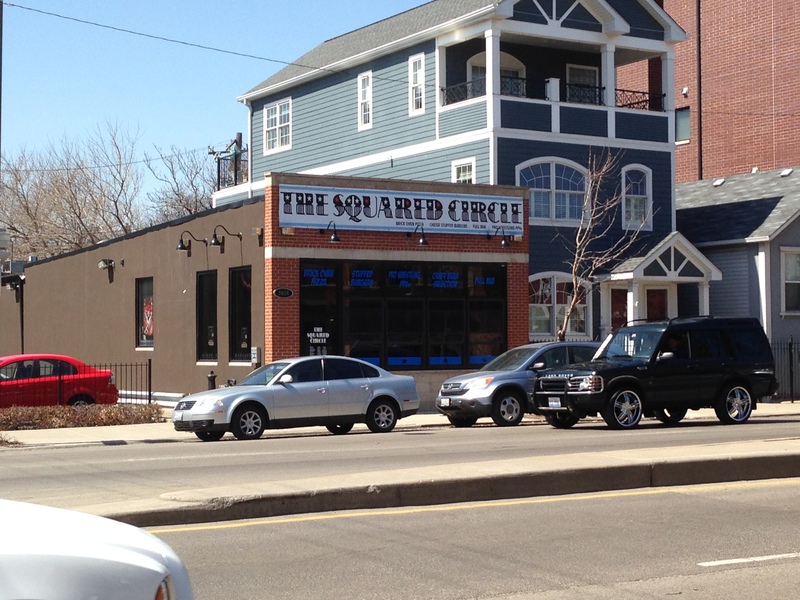 The Squared Circle specializes in stuffed burgers and pizza. I opted for a burger, the Hotty Totty, but skipped the cheese. 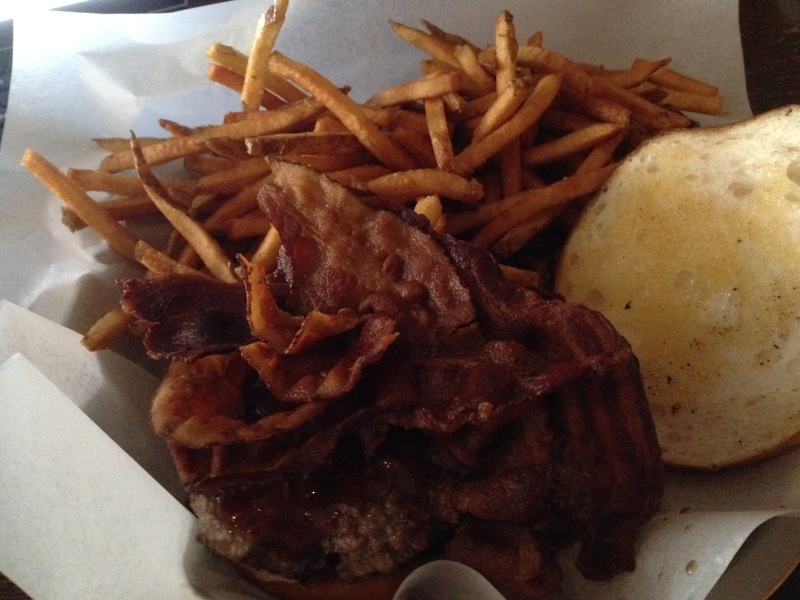 In addition to the flavorful patty, it had JR’s Hot BBQ and four strips of deep fried applewood smoked bacon. JR’s BBQ was tangy and spicy and the perfect compliment to the bountiful bacon. It was one of my favorite burgers. The fries were also tasty. 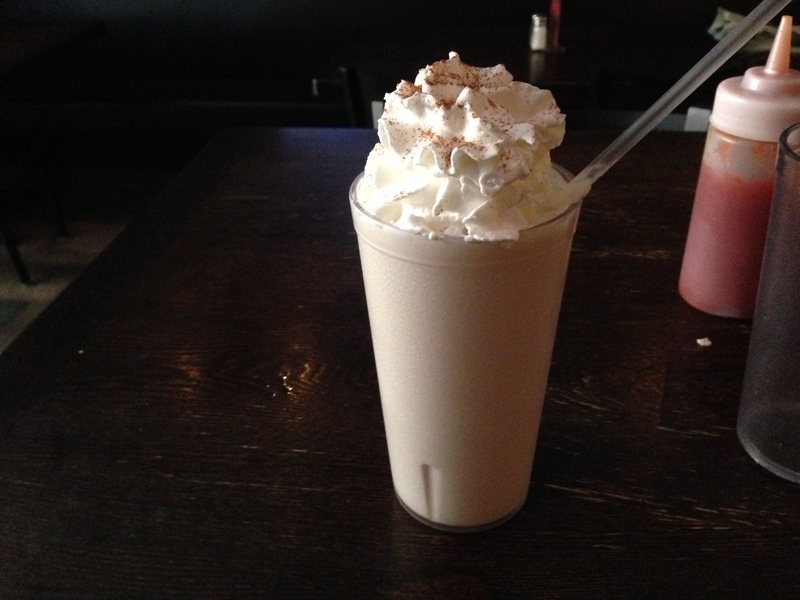 Following lunch, I was excited to try the cinnamon and brown sugar milkshake. It did not disappoint and was unlike any shake I ever had before. That alone was worth the trip to The Squared Circle. When Michelle exited her conference, she found me sitting in front of her hotel and I was eager to tell her all about my day, but first, we had hurried to catch the Metra home. In retrospect, I probably could have saved some money on transportation by planning it out a bit better, nevertheless I covered nearly 30 miles for around $10. It wasn’t quite Ferris Bueller’s Day Off, but I enjoyed exploring Chicago. It was only while conceiving this post that I realized the three places I went during a day of wandering Chicago were reflective of three of my biggest interests … World’s Fairs, beer, food and wrestling … which seemed almost accidental, but extremely fitting.